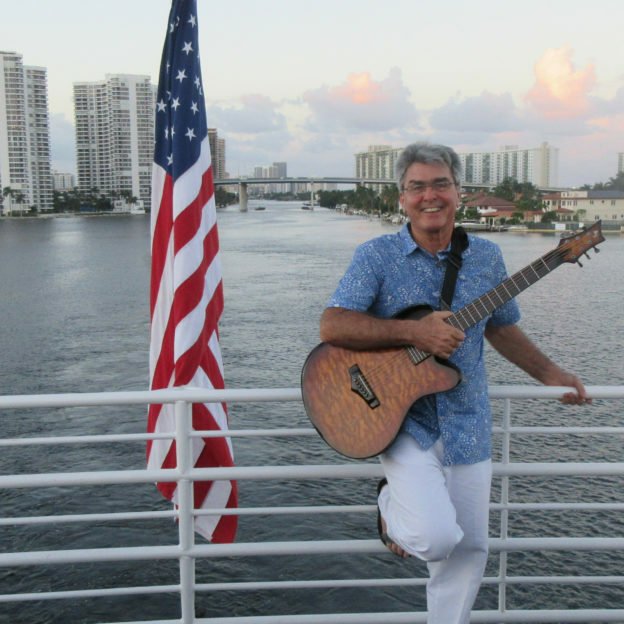 I sing and play guitar for all kinds of parties and events and have a good variety of familiar songs that help to create a relaxed, friendly, and welcoming atmosphere. Please watch my sampler video and look over the song list to get a feel for what I have to offer you. I think you will find everything you need here to make an informed choice for your event, and thank you for stopping by. Entertainer. One man band. Vocals, guitar, harmonica. Favorites and oldies with a tropical flair. Jimmy Buffet, James Taylor, Cat Stevens, Elton John, Billy Joel, etc, with some Country, Irish, Caribbean, even a little Spanish if you like. Personable and professional with a smile, South Florida’s Best Music Man.